Petra is one of the wonders of the world. 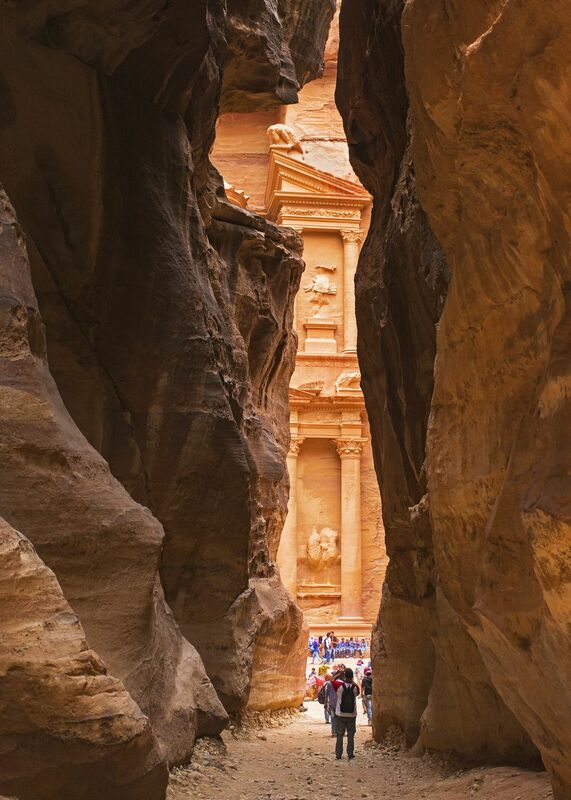 As you walk down the Siq (narrow canyon), suddenly the Treasury appears out of nowhere. An already awesome experience just got better.